Meet Your Neighbor - Marc Ryan — Campus District Inc.
Meet Marc Ryan; Executive Director of the Boy Scouts of America’s Lake Erie Council, Eagle Scout, and long-time New York Jets fan. In early 2017, a reorganization of scouting in Northeast Ohio took place, in which the Boy Scouts of America’s Lake Erie Council was formed. Seven counties in Northeast Ohio, spanning between Sandusky and Conneaut, all combined to form this council. With over 20 years of working with the Boy Scouts of America in multiple states and being an Eagle Scout himself, Marc Ryan had the experience needed to direct the Lake Erie Council during this period of reorganization. During this time, Ryan and his team at the Lake Erie Council made it a priority to reallocate programs, reallocate funding, and improve their social media presence to better reach Scouts and their families. According to Ryan, it’s more challenging than it has been in the past to position scouting, due to the fact that the world is rapidly changing and society is very sports-centric, which were both things that played a role in the need for reorganization. As a result of this reorganization, The Lake Erie Council headquarters, known as their “Unit Service Center”, is now located in the Southern end of the Campus District at 2241 Woodland Ave. The Service Center houses a team of roughly 30 employees, a museum with an impressive collection of Boy Scout relics, a Scout Shop, and is the epicenter of planning and programming for the Boy Scouts of Northeast Ohio. The Lake Erie Council offers awesome programs, including different trips for scouts throughout the United States, tapping, making, and selling maple syrup, and opportunities to gain hands-on work experience by partnering with local police and fire departments, non-profits, and numerous other organizations. 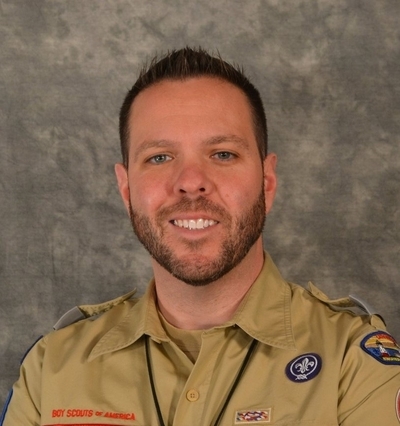 While this reorganization was a tall task, Ryan’s passion for scouting kept him going. Scouting provided Ryan with a foundation for not only his own life, but for his family’s. All three of his kids are involved in scouting and Marc even met his wife through his time working with Boy Scouts of America in New York City. Ryan can’t speak highly enough of scouting and he loves having the opportunity to work with an organization that has made such a large impact on him and his family’s lives. When he’s not working, Ryan loves spending time with his family. They enjoy fishing at Lake Erie, going to the zoo, and are season ticket holders at Playhouse Square. As a New York native, Ryan also enjoys watching football, specifically the New York Jets. Learn more about the Boy Scout’s Lake Erie Council here. Also, a big thank you to the Lake Erie Council for hosting the Campus District’s South Side Task Force on January 29th!